Thank you to our summer students for all your hard work this summer! Here's what they had to say about their experience working in the Santerre Lab this summer. "My time in the Santerre lab this summer was a thoroughly enriching and enjoyable experience. My project successfully explored the immunomodulatory properties of degradable polar/hydrophobic/ionic (D-PHI) polyurethane microspheres. 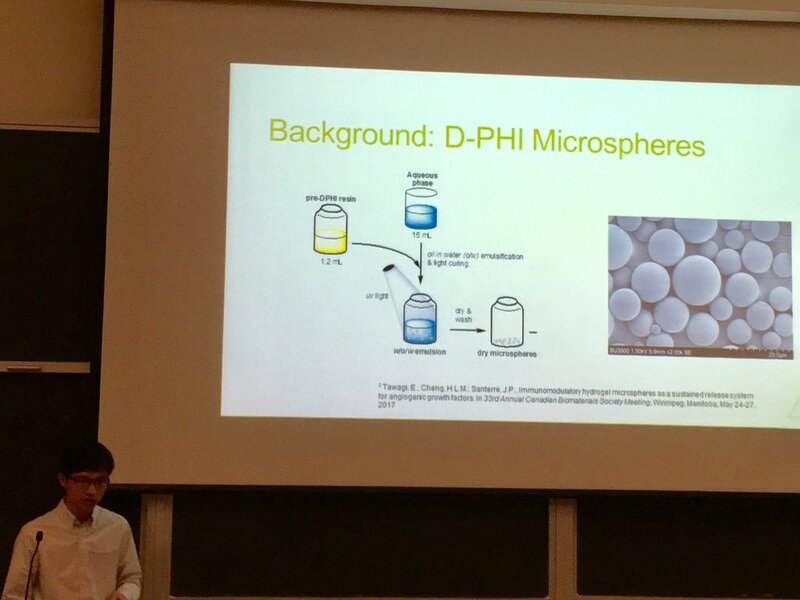 The lab’s interdisciplinary research and its open and supportive members also helped me gain valuable insight into other aspects of D-PHI such as manipulating its chemical and physical properties, as well as the broader biomaterials field. I would like to give many thanks to Professor Santerre, my graduate supervisor Eric, and all other lab members for all their help and support this summer." "My summer research project was to investigate whether adipose-derived stem cells are able to differentiate into endothelial cells that can be used for the fabrication of an anti-thrombogenic endothelium. I found that adipose-derived stem cells lacked endothelial transcriptomes 14 days post-differentiation and the extent of endothelial differentiation that could be achieved by the cells was limited. I learned a lot about quantitative evaluation of gene expression, as well as primer design and validation methods. More importantly, I gained a deeper understanding of tissue engineered vascular grafts; I know more about developing the hypotheses based on literature review and preliminary results, coming up with the experimental methods and protocols, as well as troubleshooting when problems are encountered. I found my summer research experience at the Santerre lab very rewarding." "This summer I furthered my studies on adipose stem cells and practiced cell culture as well as other biological assays extensively. 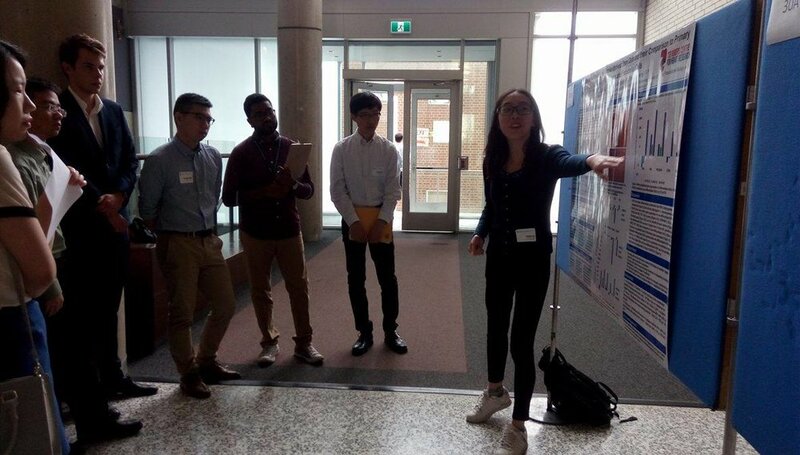 From this experience, I learned much more about writing and experimental planning; the project also provided a window to vascular tissue engineering. It was a truly fruitful and meaningful summer. I enjoyed the open-lab working environment as it was a great opportunity to talk to people from different backgrounds." "This summer, I learned a lot about bioengineering using D-PHI scaffolds and soft tissue engineering applications. This is a field that I have always found interesting but never got the opportunity to work on a project on this topic. My project focused on biodegradation and in vitro biocompatibility of ReFilx scaffolds of two different formulations. This summer research allowed me to explore more about scaffold implantation and breast tissue engineering."